DINKY Mink won the inaugural Steve Keir Memorial Euroka Cup in emphatic style last year and the locally-owned horse will have the opportunity to chase back-to-back titles tomorrow. The mare is owned by a group of mates from Kempsey, including Steve Keir, which makes last year’s win even more meaningful. Dinky Mink - sired by Choisir, from Blue Mink - has been in great form this preparation and her owners, the Plan B syndicate, have had the cup in mind for her. Trained by renowned Port Macquarie trainer Neil Godbolt, she has won her last two starts, both in Coffs Harbour - firstly, the Daniel Baker prelude and then she went on to win the Daniel Baker Cup in spectacular style on August 1. Port Macquarie jockey Marlon Dolendo was on board for both wins and he will be in charge in tomorrow’s race. “We are thrilled to have Dinky Mink defending her title and despite her big weight we give her a good chance,” vet Andrew Bennett, one of the owners said. “We were concerned about accepting with the big weight, but she has been winning, so she has earned it. "She will need to race well and have luck in running to win. 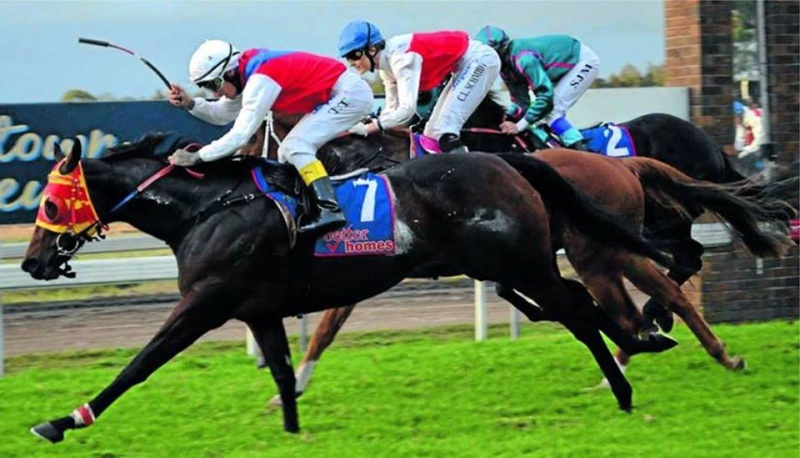 “She is a gutsy little mare that always gives 110 per cent and that makes her special. Bennett explained this particular race has a special meaning and memory to all the owners. “The SD Keir Memorial Euroka Cup is a very special race to our syndicate and to win the inaugural race just a short time after Steve Keir’s death was a lifetime racing highlight,” he said. “It was the most emotional experience we have ever had on a racetrack, due to the close connections with the Keir family. Dinky Mink is up against several strong campaigners, including another local horse Broadway Gossip, who will retire from the racing scene after tomorrow’s meeting. “I think locally-trained and owned Broadway Gossip will be hardest to beat and the other locally-owned horse Note To Bee will also be a hot contender,” Bennett said. “If we don’t win it I would love to see The Ball and Winkler families celebrating. "They are long-time friends and great supporters of local racing, who also have lifelong connections with the Keir family." Bennett also rates Flora Insight, Darshan Joe, Better Not Doubt and Cuban Dancer in the strong Open Handicap field.